At Scura, Wigfield, Heyer & Stevens, LLP, our New Jersey car accident attorneys have extensive experience guiding clients through the legal process of a personal injury suit. Depending on the severity of the accident and the seriousness of your injuries, we will negotiate with the liable party's insurance carrier to ensure you receive the full and fair monetary compensation you are owed for your lost wages, medical bills, and pain and suffering. If a beneficial settlement cannot be reached, we are confident in our ability to represent you through trial litigation. 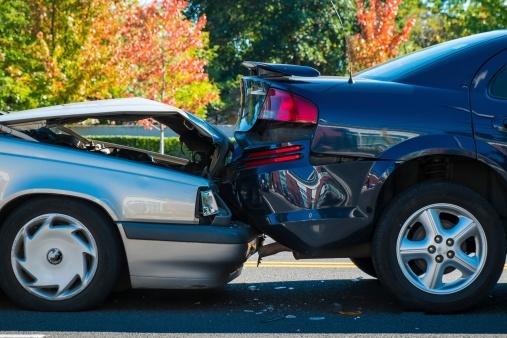 Depending on the speed and size of the vehicles involved, a car wreck can cause varying amounts of property damage and injuries. We will immediately get to work investigating the scene of the accident to preserve evidence and gain a clear understanding of what happened. Working with accident reconstructionists, we can develop an effective case strategy that guides you toward a successful resolution in the most efficient manner possible. No matter what caused your accident, it is important to seek the counsel of an experienced personal injury attorney. You might be entitled to compensation from your insurance carrier as well as the liable party's insurance. In most cases, these negotiations are better handled by an experienced professional. Discuss your situation with us through a free consultation. New Jersey is ranked first in the United States with respect to people per square mile. This dense population leads to crowded and dangerous roads; thus, more accidents unfortunately occur. If you have questions regarding car accidents, do not hesitate to schedule a free consultation with an attorney at Scura, Wigfield, Heyer & Stevens, LLP. Our personal injury lawyers are prepared to fight on your behalf to recover compensation from any negligent party or insurer. A liable party should be responsible for paying what you require to live as independently as you can after suffering a catastrophic injury.